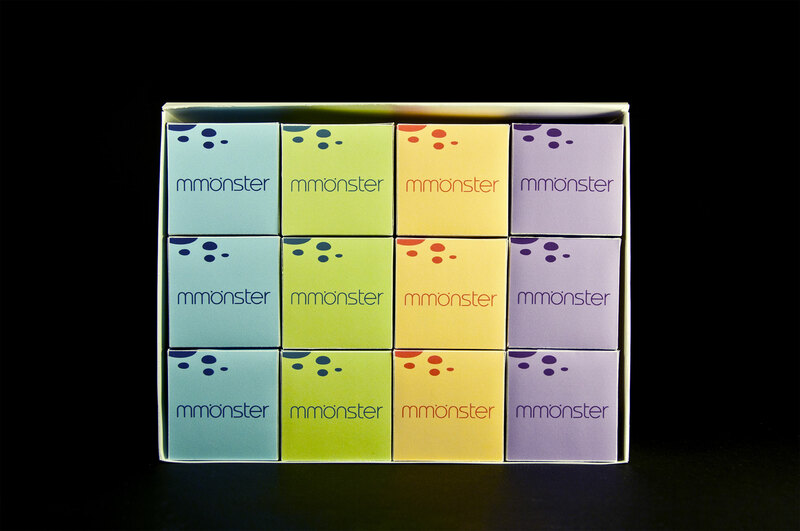 Mmonster is a concept candy brand that comes in four colorful flavors: creamy, minty, sour, fruity. 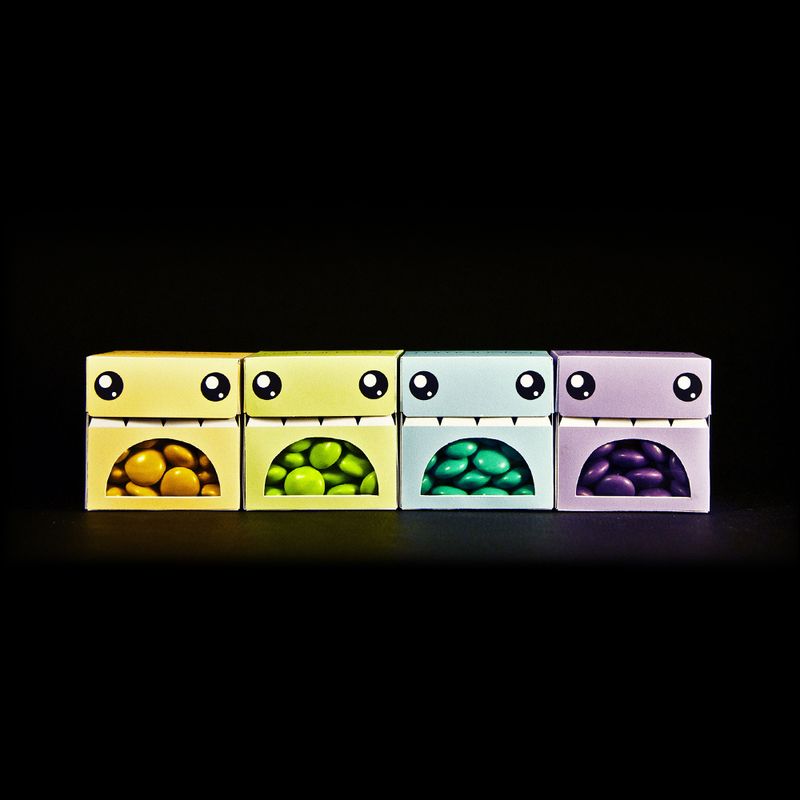 These prototypes are printed and constructed individually by hand. 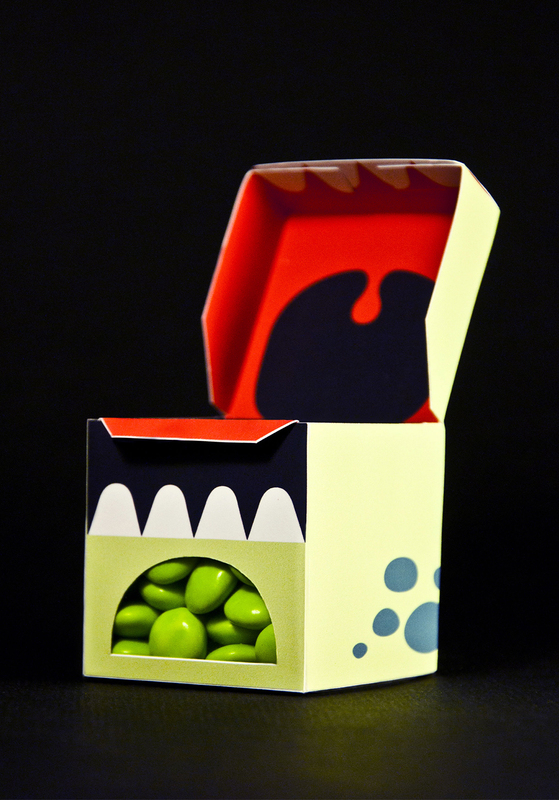 The packaging is whimsical in its design to appear as if the candy has already been eaten by the little creature. The inside playfully shows a set of the creature's teeth and anatomy. What appears as the creature's tongue functions as a locking mechanism for the box to remain securely closed.